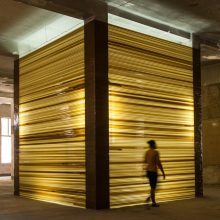 The Havana based artist Osvaldo Gonzalez Aguiar will present new work realized during his residency, describe his intimate relationship with painting and architecture, and how his practice is shaped by unexpected materials such as electric light and scotch tape. In discussion with Andrea Valencia Aranda, an art historian and independent curator from Mexico City. Experimentation with space has been a constant theme in the oeuvre of Osvaldo Gonzalez Aguiar. To fully comprehend his painting practice it is essential to acknowledge his installation work where physical space and objects from daily life often intertwine. 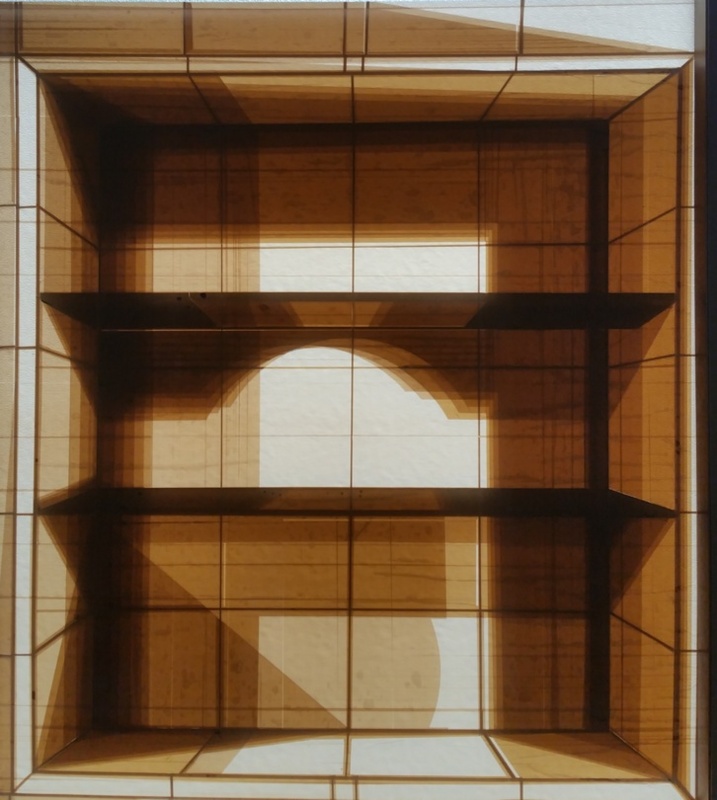 In his most recent work Osvaldo creates light screens, in which the materials such as electric light, scotch tape, and acrylic are taken to the two-dimensional format, thus creating new and unforeseen visual effects. Represented by Servando Galeria de Arte in Havana, Osvaldo exhibited his work at Zona Maco, Contemporary Art Fair, Mexico City (2018), Autofagia, Galeria, Servando, Havana, Cuba, 2016, Center for Visual Arts, Havana, Cuba; 11th Havana Biennial; Luz y Suarez del Villar Gallery, Madrid, Spain; Continua Gallery, Havana, Cuba; Johnson Pharmacy Museum, 12th Havana Biennale, among other venues. See the exhibition history here. Andrea Valencia is an art historian and independent curator from Mexico City. She lives and works in New York. Valencia is a fellow in the MA Curatorial Practice program at the School of Visual Arts in New York, and an Art Historian from Casa Lamm in Mexico City. She specialized in collection management at New York University. Her work as a curator is based on close collaboration with artists, developing new projects and commissions. Among her current curatorial researches, she is working with sound art, immigration, feminism and the poetics of empty spaces. 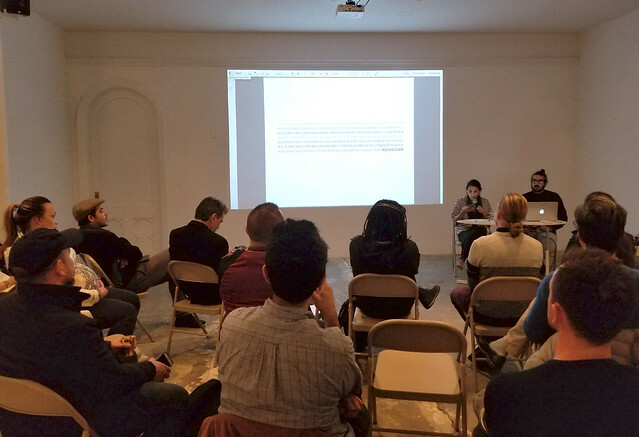 In 2017, she co-founded the curatorial collective Se habla español. Since 2009 she has participated in numerous exhibitions and cultural projects within institutions and as an independent cultural agent. From 2009 to 2013 she worked at The National Museum of Art (MUNAL) in Mexico City as assistant curator where she collaborated on several exhibition projects and researching the collections. From 2014 to 2015 she was Administrator of the Mexican Cultural Institute of New York where she collaborated in building and operating the annual program of the institute. In 2015 she joined the office of International Affairs of The National Institute of Fine Arts of Mexico as Liaison Manager for international projects in diverse disciplines. From 2016 to 2017 she was lead Coordinator of the Pavilion of Mexico in the 57th Venice Art Biennale. During the summer of 2018, she was a curatorial resident at Witte de With Contemporary Art Center in Rotterdam, The Netherlands. This program is made possible with support from Rockefeller Brothers Fund and the Cuban Artists Fund.